Pulling for Education Trap Shoots Scheduled for March. 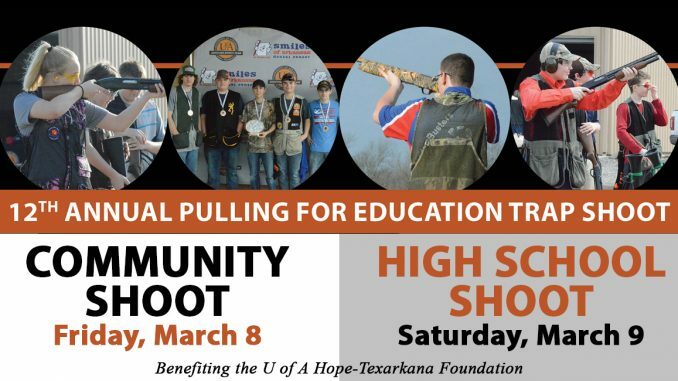 The 12th Annual University of Arkansas Hope-Texarkana “Pulling for Education” Trap Shoots will be held on March 8th and 9th. The event will take place at the Rick Evans Grandview Prairie Conservation Education Center. The center is located at 1685 Hempstead 35 Rd N, Columbus, AR . Two trap shoots will be held again this year. Details for each shoot are listed below. Friday, March 8, 2019 • 9:00 a.m.
Saturday, March 9, 2019 • 8:00 a.m.
For registration forms visit, http://www.uacch.edu/pulling-for-education/. All proceeds from the event benefit the University of Arkansas Hope-Texarkana Foundation scholarship funds. For more information, call the UAHT Foundation at 870-722-8516. 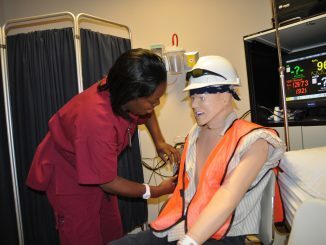 Practical Nursing Program applications being accepted by the University of Arkansas Hope-Texarkana. 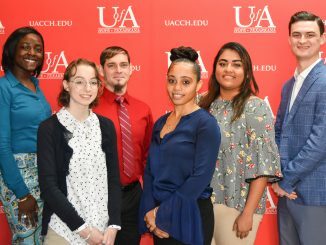 Student Government Association Officers elected at the University of Arkansas Hope-Texarkana. Fish fry scheduled in Hope for later this month.